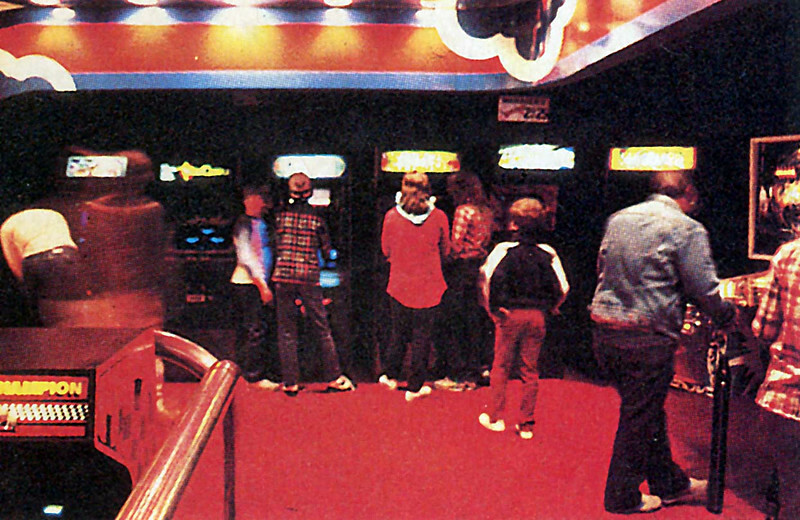 Arcades | The Arcade Archives! Well, I had mentioned after doing some digging, they were selling these cards exclusively at the Orlando International Airport- WHY? 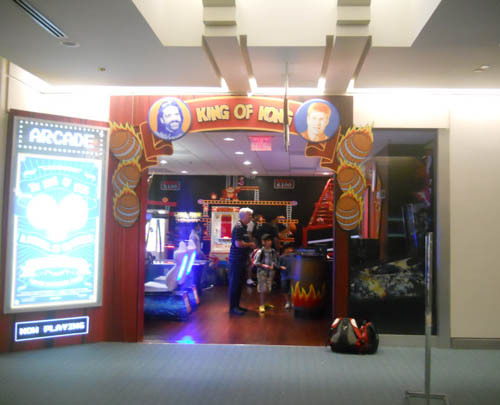 Ill tell you why… Billy’s opened an arcade! 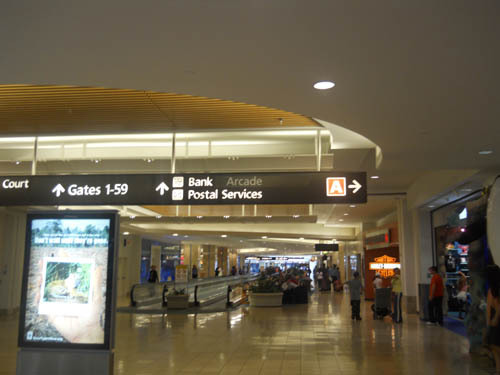 At the airport! And it’s not bad! No really- let me just show ya. At last I found it- (I wasn't really that hard) and all the front signage is awesome- it has a pull away pseudo 3d effect! 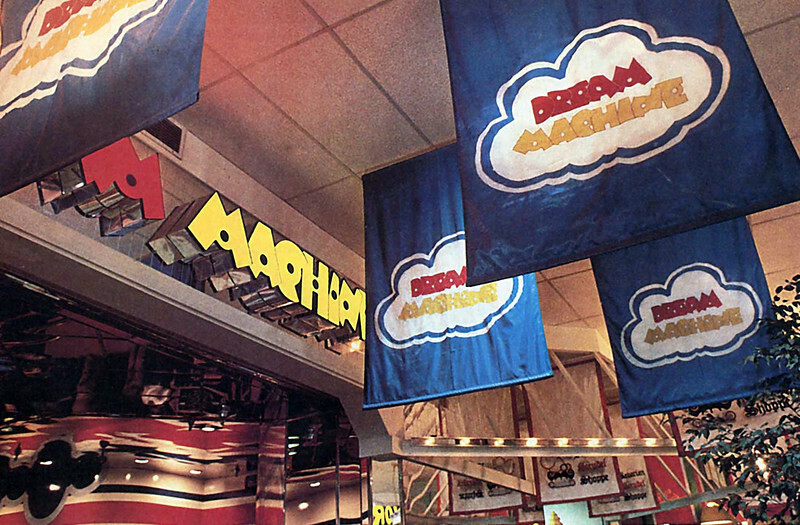 The storefront is amazing. It makes you feel like your walking into the movie- both Billy and Steve are prominently displayed.... oh the eternal confrontation- I wish we had seen that battle in the movie! ...And inside is great as well! 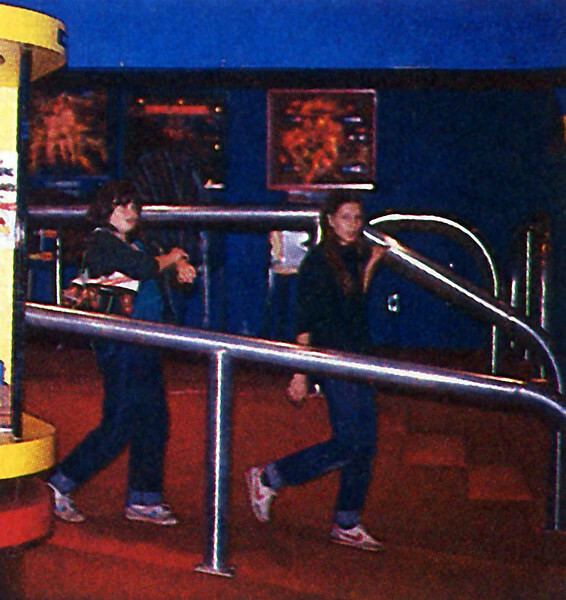 Full sized murals of all 4 levels are displayed on the walls. the place has NICE hardwood flooring, and FLAMING BARRELS! You heard me- FLAMING BARRELS! 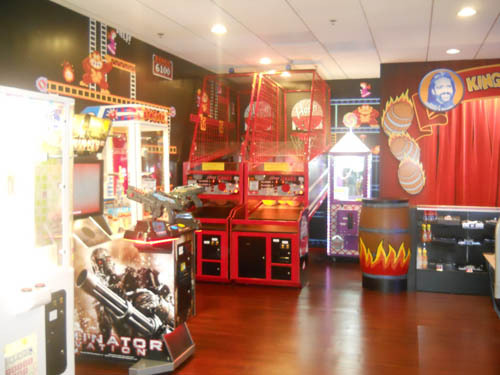 You know you are looking at this place and saying" I wish this was in my house!" 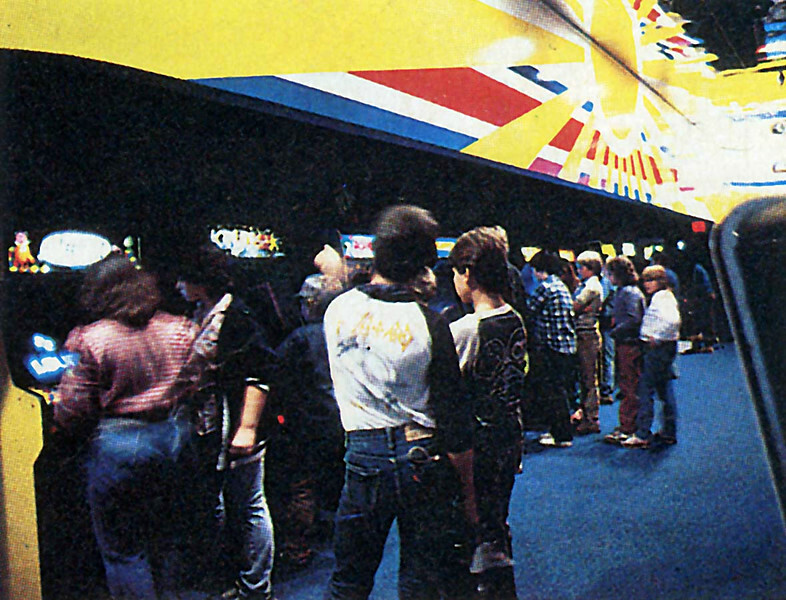 And the centerpiece to The KOK Arcade has to be the change counter. The curtain looks like a separate wall to walk behind- cool! 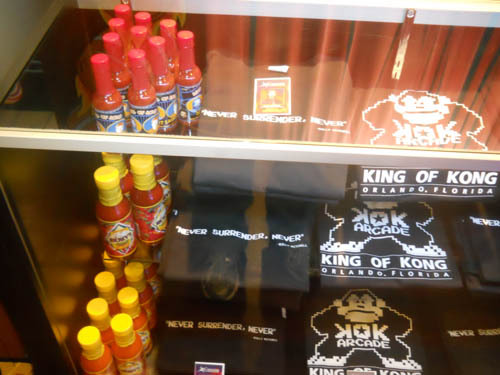 And of course, what arcade would be complete without hot sauce? you can also purchase t shirts, and the aforementioned trading cards. 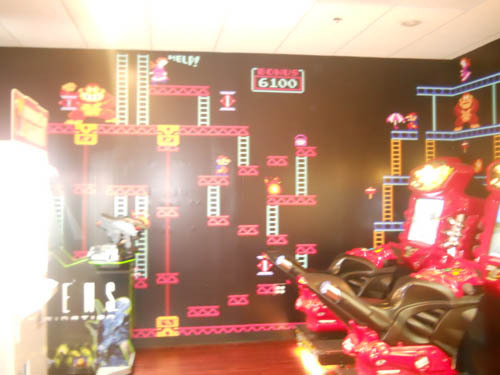 All in all a great looking gameroom. 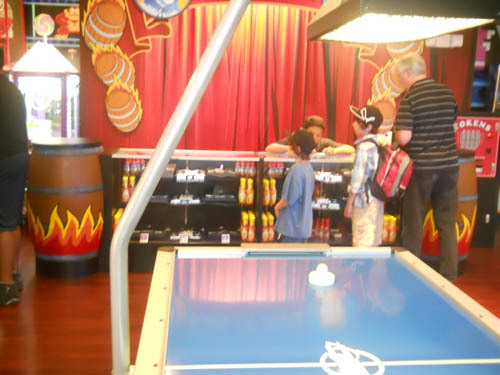 While I was there (about 10 minutes), 30 people came in and played- which is good- the airport’s got a constant flow of customers just waiting with money to spend . 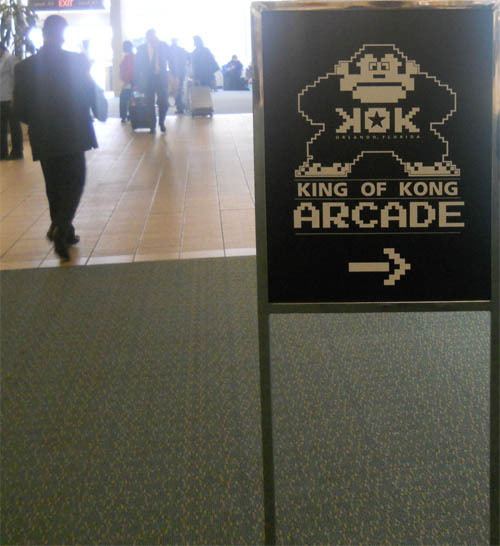 And they had some good titles- BUT NO DONKEY KONG! not even 1 classic game in the lineup- that was disappointing. But it just opened… may be they will be bringing in DK and others in the future- I hope. 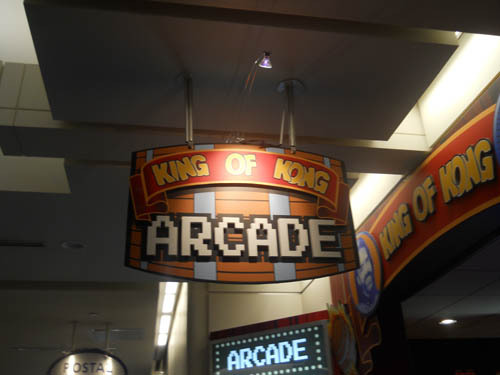 Well stay tuned gang- because I will be going back and getting some answers on this little, funny, out of the way arcade soon!